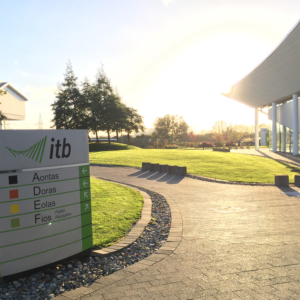 The Institute of Technology Blanchardstown, with its 32 machines and Equitrac cost management network, is one of our largest clients. We have been dealing with this educational powerhouse since January 2003 – when someone at the University took a chance on a smaller supplier. Things started with 2 mid-range machines and one smaller one. Now the fleet stretches from two large machines and all the way through the ranks to banks of 20 small desktop printers. The Equitrac software in place keeps track of spending all across college, and a per user basis for all students and staff. The relationship we have with the entire I.T. department on campus is fantastic. It creates a wonderful symbiosis between network management on their part, and hardware support from our side. ITB has been working with Kopikat for well over 10 years supplying equipment for Photocopying, Printing and Scanning to the Institute. The equipment is reliable and efficient. Service levels are prompt, professional and friendly. Always willing to help in providing innovative solutions. Our recent addition of Mobile print services shows how well they have worked with us as a supplier to continually improve the service offering to our staff and students.